We have the most complete stock of LoL accounts! Lolskinshop is one of the very few shops that publicly will acknowledge you as a customer, and guarantee you a safe trade. If something were to happen to your LoL account, we will replace it, you will never end up empty handed! We only sell high-quality accounts, and in the rare case something would go wrong, we will help you out! Our LoL smurf and account services are available for all League of Legends servers - Europe West, North America, Europe East, Oceania and many more! Lolskinshop was started mid 2013, and quickly became one of the biggest skin shops around. Our dedicated support team works day and night to get you your order quickly, and to keep you as a customer informed about your order. Lolskinshop has evolved and we offer Everything you need for LoL We are experienced in every area of service for League of Legends - lol accounts, lol smurfs, lol boosting and many more! 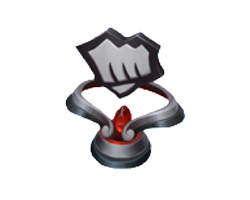 We are the cheapest and safest option for your League of Legends needs! We pride ourselves with being the biggest actor on the market! We value customer feedback. If you have bought something, or wonder what others say about us. Please take a look at our reviews page. If you have purchased something here, please leave a review! All of our deliveries are sent to the email you entered during the checkout. Please make sure to write it correctly to avoid confusion and delay in delivery. We have been all time biggest skin sellers and now continue selling everything else to the majority of League of Legends players! We have put alot of effort into creating and maintaining a full database of all League of Legend skin that has ever been created. The number is slowly climbing towards 750. League of Legends is one of the biggest games in recent times, boasting incredible record-setting player counts across its multiple servers around the world. The game, created by Riot Games, is a Massive Online Battle Arena (MOBA), where players choose to play one Champion out of a pool of over 130, and get matched up with other players, battling out in teams on “Summoner’s Rift”. The goal of the game is to destroy the enemy team’s base, particularly the “Nexus”, the heart of the base, which is heavily guarded by other structures - “Towers” and “Inhibitors”. 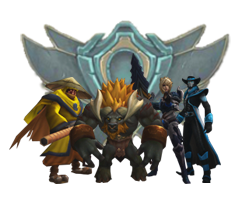 Champions battle it out, gaining experience, gold and items, in order to defend their own structures, while pressuring to defeat the enemies’ base. With such a big player base, there was a big need for an all purpose service provider for League of Legends. Thus LolSkinShop was created in 2013, and very quickly asserted itself as one of the biggest website complements to League of Legends. Starting out, LolSkinShop (LSS) first started by selling various Skins, ranging from the most common ones to the most sought after skins released. Through the years, however, we have evolved to becoming the premier one-stop shop for all your League of Legends needs. Maybe you need that extra push in your Ranked climb? 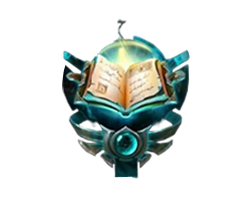 We have an experienced and dedicated team of high ELO players in every server to give you that “Boost” you need and get over the hump! We only hire the best, the most professional players, and through the years they have grown together and become highly experienced. There is no challenge you can provide that they can’t tackle! Our prices are also super cheap compared to other websites out there! Some players are also looking for a second account to climb ranked on, be it because they’re bored, or because queue times are too long on their main. 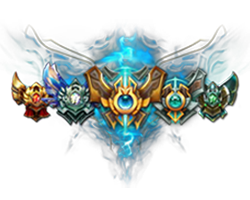 For these players we also provide various different League of Legends Smurf accounts and have a wide variety of different options for them. The concept of “Smurf Account” originated in 1996 in a game called “Warcraft II” when two very high ranked well known players couldn’t find any opponents to play against because nobody was brave or good enough to challenge them. In order to hide their identity and continue playing the game, these players created new accounts and called them “Papa Smurf” and “Smurfette”. Thus the concept of “Smurfing” was born. If you’re still looking to own the rarest skins in League of Legends history, we can also help you. While Riot Games did invalidate all the skin codes out there, we still own multiple accounts with various super rare and highly sought after skins. By purchasing these accounts, you too can be part of a very select few players to own extremely rare skins like “Black Alistar” and “PAX Twisted Fate” - all this for a very affordable price! We have been selling LoL Smurfs for five years now with flawless reputation! We have delivered over 20000 Level 30 Smurfs & Accounts within the last 5 years to our customers. We have flawless reputation on our customer service and delivery time for our LoL accounts customers to start playing on an account they desire. 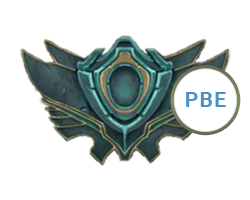 We are one of the very few account sellers who can deliver accounts on all Riot server - Europe West, North America, Europe Nordic, Oceania, Brazil, Latin America North with 100% satisfaction and positive feedback. We demonstrate extreme speed in all of our services options - while maintaining the highest quality of service. 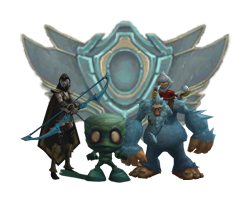 On top of our cheap LoL smurf and account prices, we also offer often big discounts and can provide you special options for free! 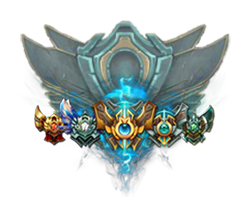 Head to our Level 30 LoL Smurfs Page or Level 30 LoL Accounts Page to grab your dream account today! Here at LolSkinShop we are the safest, the cheapest and most reliable service you can find for League of Legends. We are unmatched in the business and have operators working around the clock to deliver your goods and services nearly instantly! Come and join us and be part of the LSS family!